Following on from his previous publication “The Construction of Dublin” Frank McDonald (with James Nix) expands his commentary on the developments and lost opportunities which have taken place in Ireland over the previous decade or so. The opening section deals with the misguided “crows returning to roost”, referring to how recently made decisions will adversely affect the quality of life and the economic performance of Ireland over the coming years. However it is clear by the end of the book that many of the crows have already returned and that those still on the way are simply stuck in traffic. 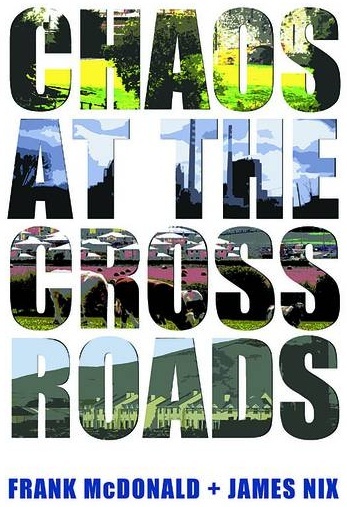 The book is divided by chapter dealing in detail with the key issues facing modern Ireland. The continued sprawl of our towns and cities, the lack of balanced and coordinated regional development, allowing Dublin to spiral out of control while the West lags behind, the proliferation of one off “McMansions” blitzing the country side are all well documented. As are our poor record on preserving our built heritage (the hill of Tara for example) and our failure to reduce waste in line with our Kyoto commitments. Finally the serious issue of transport and how current plans may or may not serve us well and the costs involved are carefully analysed. Throughout the book the decision makers are highlighted in an almost name and shame type gallery of rogues. Indeed some of the decisions made are so maddening as to call into question the competence and integrity of those who we elect to govern us. Why, for example, would a publicly approved local area plan developed by a competent architectural practice be thrown out against the wishes of the community by local councillors in favour an unplanned site which they wished to develop to suit their own ends, as in the case of Dunleer in County Louth? Overall the book is a very thorough review of recent events backed by serious research. It is however a slow read as digesting the avalanche of statistics is not a matter for light entertainment. Rather than congratulatory slaps on the back for our success, in makes the Celtic Tiger appear more like village-idiot-wins-lotto. Both Informative, though saddening, in a synopsized form for the book should be compulsory reading for all the citizens of our dear little island.